I take a lot of pictures when I travel – architecture, market stalls, natural vistas, local life. As much as I like to soak in the experience, I always like having an image to take home as a souvenir. 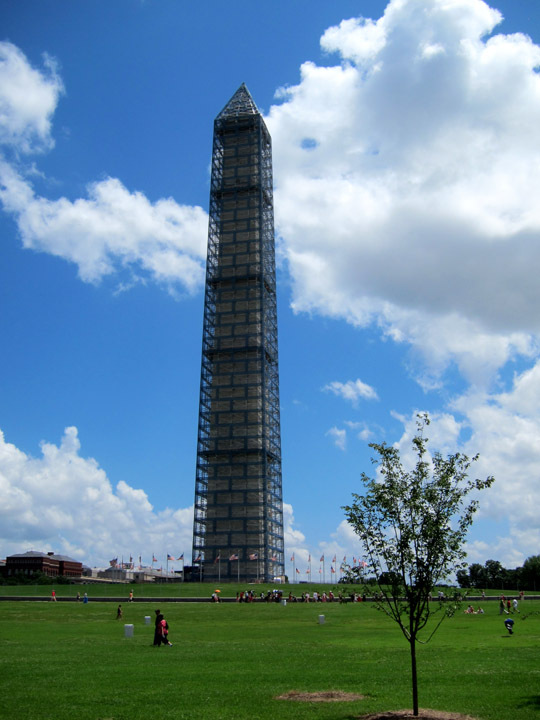 But like many travelers, I eventually encounter a museum or historical site that doesn’t allow photography. So why can’t I take pictures in a museum? It may be frustrating and not really obviously why photography is prohibited, but I think it comes down to a few simple rationales. Hopefully this explanation will give you some perspective next time you see the dreaded “No Photography” sign. I am convinced crowd control is the single greatest cause for no photography rules! People trying to take photos don’t pay attention to their surroundings, they jostle for position, and cause traffic jams. 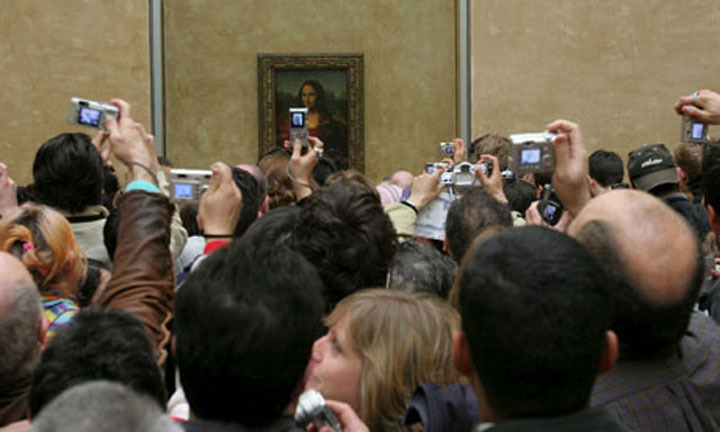 Imagine if the “No Photos” rule was actually enforced at the Louvre? Limiting photography is perhaps the only tool museums have to control the throng of daily visitors. In setting up a gallery, museum curators must balance how to best display the art, how the exhibit should flow, how pieces could play off each other and then more practically, how are people going to walk through this space? After some assumptions about the number of daily visitors and the average time a person views a piece (or masterpiece), they make some space concessions for the sake of the traffic flow. Nothing messes up this orchestrated herd more than constant photos pauses in which everyone waits for one person to take a photo. 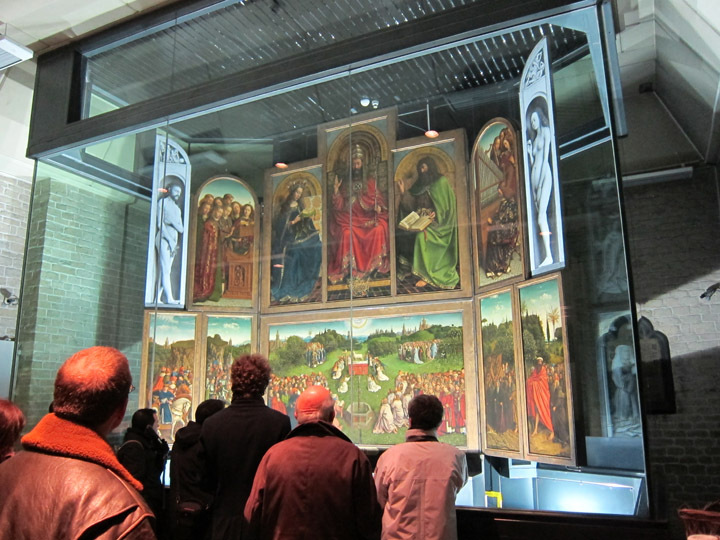 I’ve written about the tiny viewing room in which the Ghent Altarpiece is displayed. In this tight space, photography is forbidden so that visitors can enter, view the piece and leave. They’ve even forbidden tour guides from speaking in the room so that people don’t stand and linger in the cramped space. So there I was, shoulder to shoulder and three rows deep, when the woman in front of me pulled out a camera and clicked away. She stayed in front of the piece for a few more minutes, taking valuable viewing real estate, even deleting photos old snaps so that she could take a few pictures more of the painting. In a gallery with an unspoken rule of “take a look and then let someone else see”, she was demonstrating why photography was actually prohibited. Taking photos also gets in the way of appreciating the art on view. Inevitably in every museum I visit, I see someone quickly snapping from picture to picture, getting in people’s way without really even looking at the art. The behavior does a disservice to the “photographer” as well as to the other visitors. 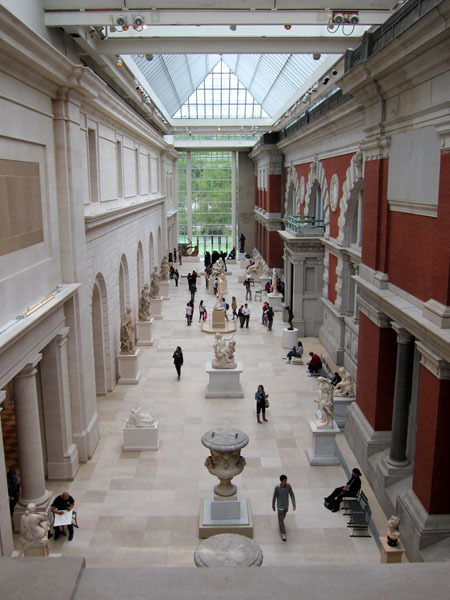 There is a trend now to save visitors from themselves and institute strict no photography policies to ensure that all can enjoy and focus on the art. Noticeably, the Musee d’Orsay has a no photography policy. As someone who plans on spending a lot of time someday at the Egyptian Museum of Antiquities, I’m happy to see that they’ve forbidden photography. 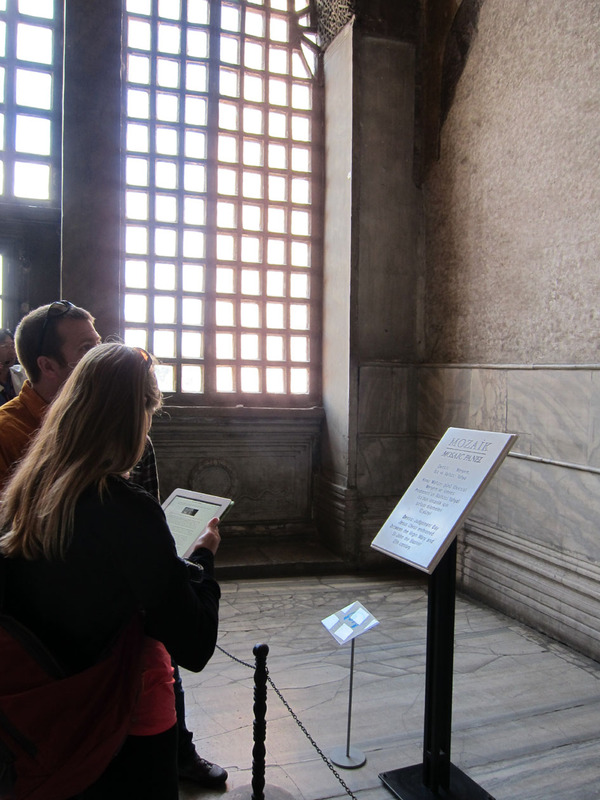 As much as I would like to photograph details of the objects on view, I think I would rather enjoy free-flowing crowds and time to enjoy the artifacts without a camera constantly popping into my line of sight. 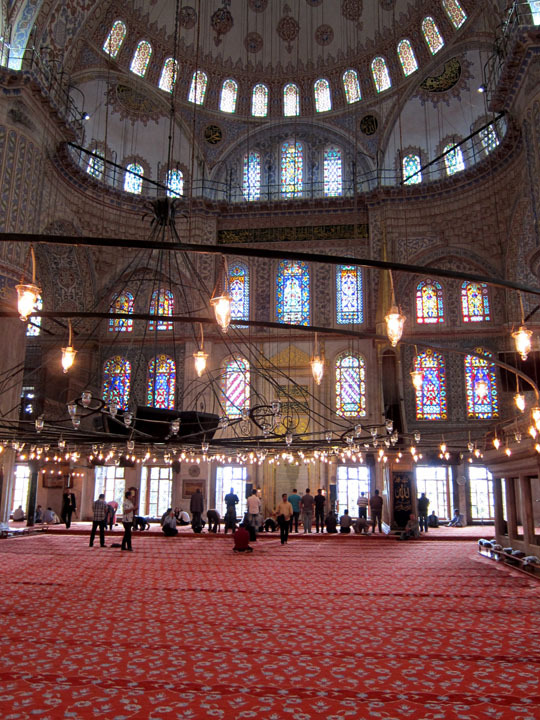 Visitors can enjoy the Blue Mosque in Istanbul and take pictures too but don’t interfere with worshipers. I also have a lot of sympathy for no photography rules in places of worship. No one wants flashes going off while they are praying. Even those places that do allow photography deserve unobtrusive, quiet respect from their visitors. Newgrange, part of the prehistoric Brú na Bóinne complex North of Dublin. Limiting photography is also the considerate thing to do sometimes. 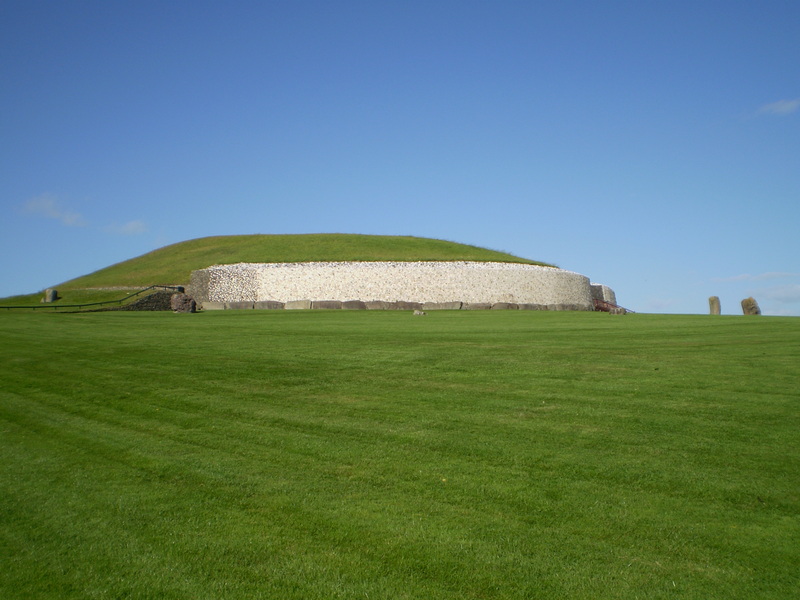 At Newgrange, Ireland, groups of about 10 people are led down a narrow stone path to the prehistoric burial chamber at the heart of the archaeological site. As my tour guide was getting started, one member of my group staring getting a little claustrophobic and had to move into the passageway to listen. As we were all taking a final look at the end of our visit, I asked if I could take a photo of the stone carvings. The guide said no. I asked why. “It will damage the rock,” she shot back. Well obviously a flash will not harm rock – this is another case of crowd control! Imagine flashes going off is a small, dark, enclosed space? Even the calmest person could get a little disoriented and claustrophobic. The flashes would also ruin the experience of being inside the cave, watching the evocative shadows play across the rough stones. So maybe rock isn’t actually damaged by light but there are fragile objects that can be effected by flash photography. Non-colorfast pigments, natural varnishes and old paper are susceptible to thousands of daily camera flashes which could hasten degradation. Since these works are being preserved for the very long-term, museum go to great lengths to design special gallery lighting, use UV-filtering glasses and limit what viewers can do. That being said, Museum are beginning to relax the rules and posting more “No Flash” signs. 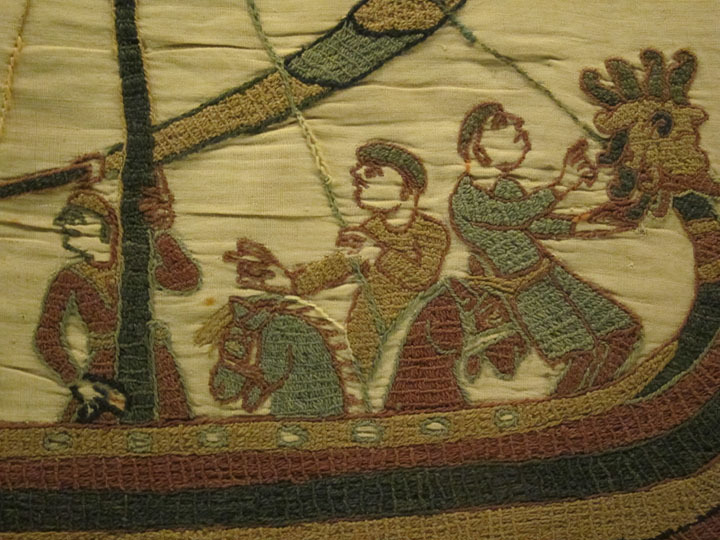 With a half-way decent camera, you can use a steady hand and a longer exposure time to capture exquisite images of very fragile works of art like the Bayeux Tapestry. 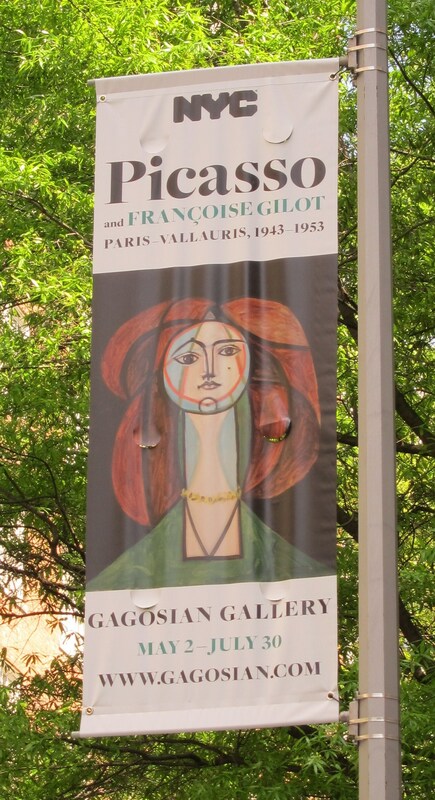 Although you couldn’t take photos of Picasso’s “Femme au collier jaune” (my favorite piece) because it was privately owned, the image pretty much was everywhere in New York City advertising the Gagosian Gallery show. Most works of art in museums are within the public sector or are old enough that image copyright does not apply. 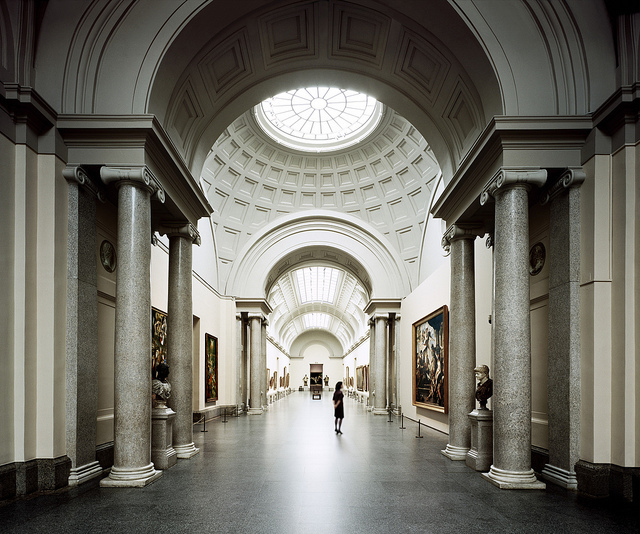 However, some museums or private owners may wish to control the distribution of their image and so they have the right to forbid photography. This is especially common for special exhibits which may have unique policies since they feature privately owned pieces and loaner works from other institutions. 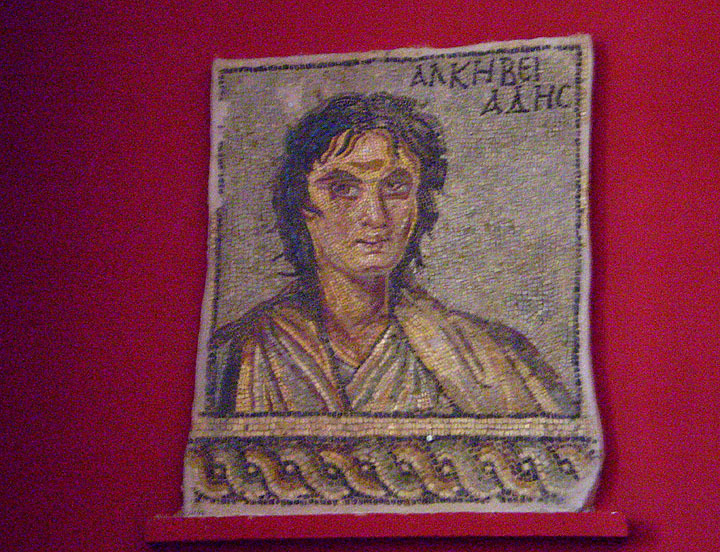 One Spartan mosaic that I was allowed to photograph at the Museum there. Interestingly, I happened across a room of ancient Roman mosaics in Sparta. The museum attendants were adamant that no photos could be taken in the room displaying them. I asked why and it turns out these mosaics had never been documented or published in public. In an academic sense, they were “undiscovered” works of art. The museum was putting together an article about the pieces and didn’t want them reaching the public beforehand. So, hopefully that helps next time you see a “No Photography” sign. I’m still conflicted in that I see why photography is usually banned but still really do like to take pictures when I travel. If it’s any consolation, you can always buy some postcards of your favorite pieces. I certainly have quite a collection…. So have you ever been to a museum with a “No Photo rule” and wished you could have taken pictures? After two recent trips (domestic and international), it was clear to me that we are now traveling differently compared to even 5 years ago. Our electronic gadgets, which have become a big part of our daily lives back home, are just as much a part of our leisure time and travel experiences. Thanks to a 7 hour flight home, I had some time to reflect on what this all means. The age of portable digital devices means some really exciting changes for the traveler, and some changes that don’t seem right. Every good ancient Roman knew that bathing was important for one’s health. 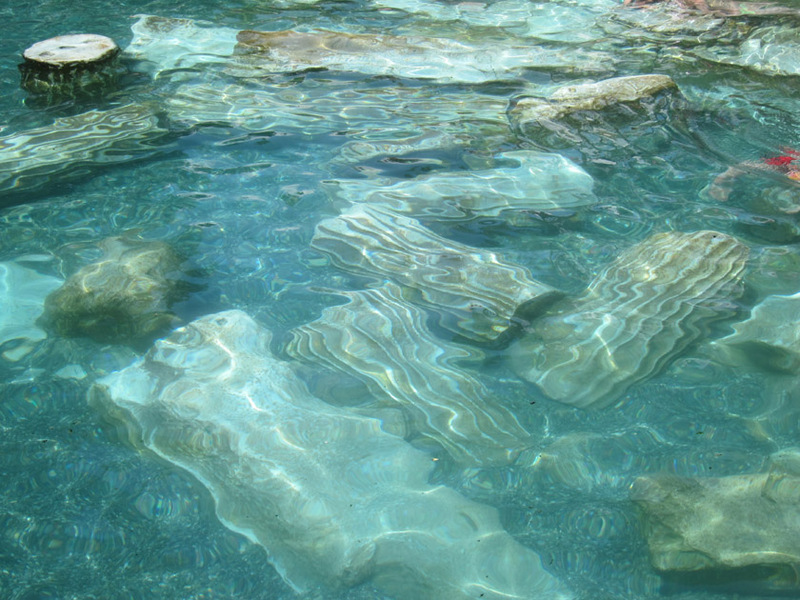 Thermal springs were seen to be something divine and precious, often visited for their purported healing properties. But why rely on historical accounts when you can see for yourself? The thermal spring in the ancient city of Hierapolis, Turkey is active today, open for swimming, and even comes with some very authentic decorations!